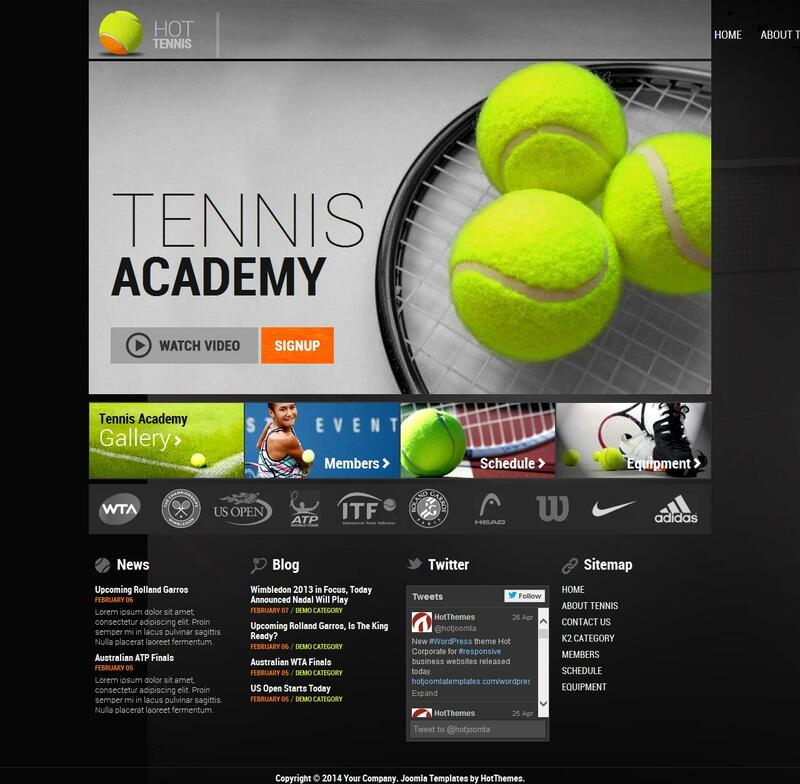 HOT Tennis - new and modern template from the team HotJoomla, suitable for Joomla versions 2.5x and 3.x A distinctive feature of the template design can be considered the main page, as it has a distinctive look on the design of internal pages, it will allow you to present important information to your users in a flexible and convenient manner. Implemented the ability to play videos from Youtube and the opportunity to move to other sections of the site to review the information. For easy content management component in the assembly joined K2. Developers were using the Hot Zoomer image gallery, this extension has a comfortable setting. Also in the assembly module hit Hot Twitter, to display the records of social service Twitter. For high-speed downloads, excellent optimization and adaptive features to support mobile developers used Sparky Framework.